Musical U is a website and online community dedicated to helping you to become more musical. 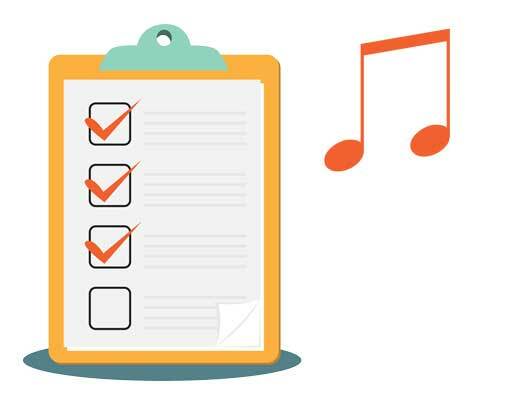 Created by leading music education provider Easy Ear Training, Musical U was built to address the most common and frustrating problems faced by musicians and help more people to realise their full musical potential. 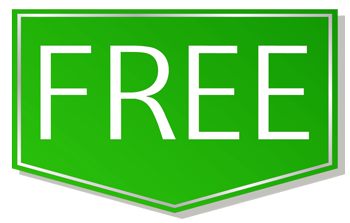 Access to experts so that you can get personal help whenever you face a new question or challenge. Whether you want to play by ear, improvise easily, create your own music, or sing confidently, Musical U is built to provide you with everything you need to become the musician you’ve always dreamed of being. At Musical U we provide a fully flexible training system featuring over 40 modules covering all the essential topics in musicality, including intervals, chords, playing by ear, singing in tune, musical confidence and more. You are guided through creating your own personal training plan to exactly suit your goals and musical background. Throughout your training you are supported by the community and expert team at Musical U, to ensure that you never need to feel stuck or unsure of how to continue making progress. Musical U members come from all different backgrounds. Some are just starting out in music, others have been playing an instrument for years. Most are hobbyists or performing amateurs, but we also have some pros and teachers among us, filling in gaps in their own training. What all our members have in common is a true passion for music and a drive to reach their full musical potential. Our community is friendly and supportive. Learning music can be challenging, but it should also be a lot of fun, and our team and members help remind each other to keep the journey enjoyable every day. Emily is studying for a Bachelor’s degree in Piano Performance in the USA. She’s found that Musical U has helped her track progress learning her pieces, and develop the ear skills required to pass her exams. Brian started playing guitar as a teenager and has never been able to put it down since. But there was always something he felt was missing which he felt handicapped his abilities. Since joining Musical U he says it’s like there’s “finally a light at the end of the tunnel”. Carol decided to take up an instrument in her retirement and joined Musical U to help develop her musical ear. She’s been using our training resources to learn relative pitch so that she can play by ear and not always rely on sheet music. Rayhan is studying music at college in Singapore, playing piano and singing. He joined Musical U to help him improve his intonation when singing harmony, and learn how to play by ear. Jeff had been playing bass for years and loves the role it plays in the rhythm section but he was getting tired of having to always fish around to find the right notes and overthink it when he played. At Musical U Jeff has been working through our interval modules and starting to play basslines by ear. 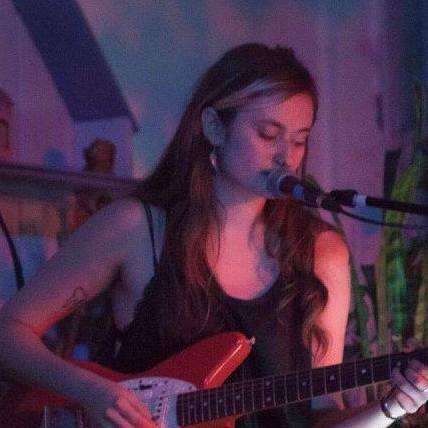 Aliki is a metal-loving singer who also has a fondness for traditional and folk music. She had been trying to learn to sight read and found the process overwhelming. At Musical U she has been making clear, concrete steps forward, module by module. Alex has been playing the piano for several years but has never been able to play songs by ear. His dream is to be able to create and arrange music himself and start performing it for other people. He joined Musical U to help him develop the musical ear needed to compose, improvise and play by ear. Leith had studied music for many years, even teaching classes in music theory. But she never felt fully able to express her musical ideas when composing. Through Musical U she has filled in the skills which were missing and now feels she is starting to reach her full musical potential. Founder and Director of Musical U, Christopher Sutton is a passionate musician and is dedicated to the mission of helping more people to feel confident in music. He is the creator of best-selling iOS app Relative Pitch, the leading ear training website EasyEarTraining.com, and the viral sensation ToneDeafTest.com. 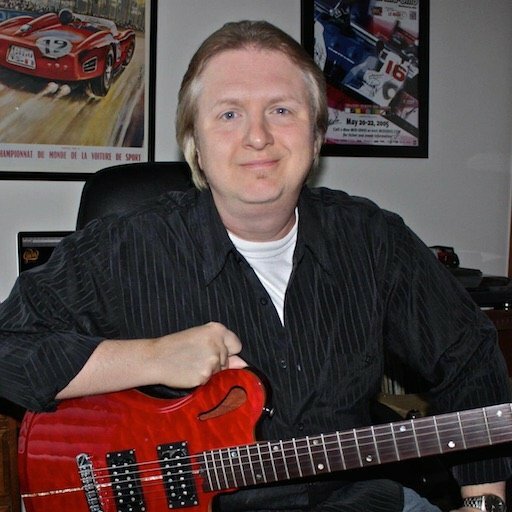 Stewart has had a passion for music for many years and his enjoyment of guitar has given him to opportunities to play in a wide variety of styles. His appreciation of music has also been developed through teaching guitar, running sound, doing sales for music manufacturers, and mixing and producing his band’s latest CD. However, some of Stewart’s greatest satisfaction is being able to empower others to help them achieve their own personal success. Andrew Bishko is a veteran of music performance and teaching, with a career spanning decades and a wide variety of genres. His current projects include HeartWinds (an acoustic jazz/world music duo), Mariachi Flor de Missouri, The Ozarks Klezmer Orkestr, and music minister / songwriter / composer in an all-original church music program. Adam Liette is a lifelong musician in many styles of music. He is a veteran of the United States Army Band and has performed all around the world, including for Presidents Barack Obama and George W. Bush. A classically trained trumpet player and heavy metal guitarist, these days Adam enjoys teaching his children to love and appreciate music. 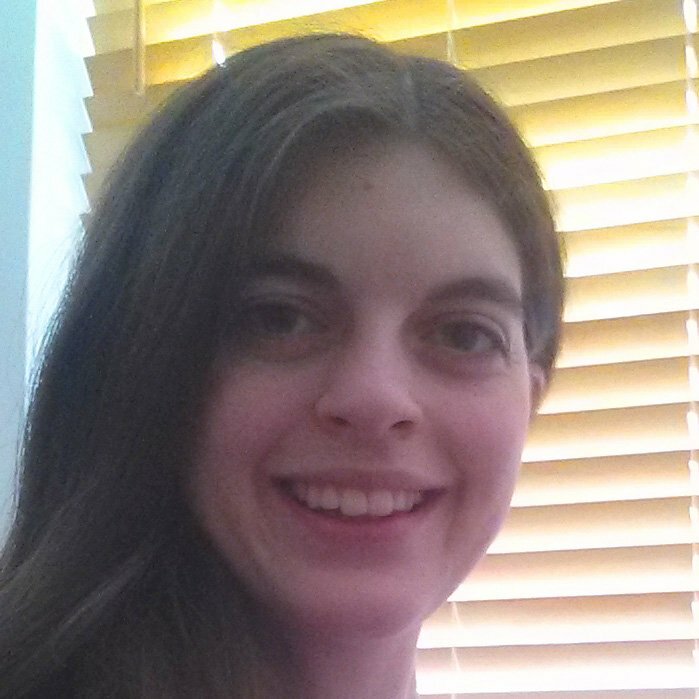 Kelly Fabian is a Music Education major at San Jose State University, focusing on instrumental music. She plays the trumpet and hopes to direct a high school music program in the future. Kelly is a Community Assistant on Musical U to help others achieve their goals and discover how music can enrich their lives. Award-winning composer Sabrina Peña Young is best known for her groundbreaking animated opera Libertaria. Her expertise spans over a decade and a half of commercial and classical music from jazz to folk to film soundtracks and dance electronica. She is a key contributor in the Musical U team, composing the music of the Unravelling Music training modules and creating resources to help members develop their natural sense of rhythm. 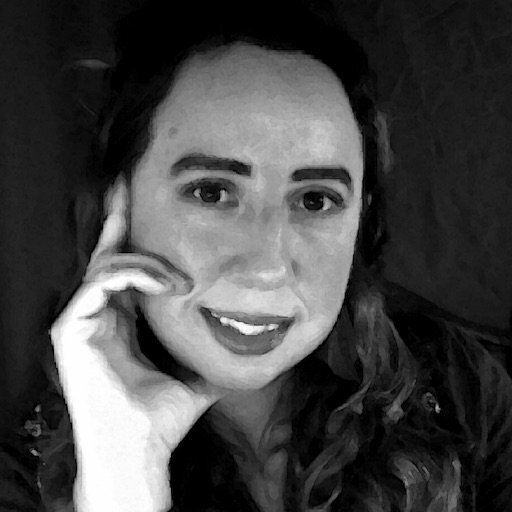 Sara Campbell is a rising star in the world of piano teaching, helping to lead the popular Upbeat Piano Teachers community, contributing regularly to Piano Bench Mag, and regularly running workshops as part of her own music studio in Pennsylvania. Trained as both a singer and a pianist Sara brings a deep understanding of how to nurture musicians’ creativity and provide interesting and modern ways to develop the inner skills needed to feel free in music. Steve Lawson is renowned above all else for his creativity and pushing the boundaries of what’s possible on the bass. 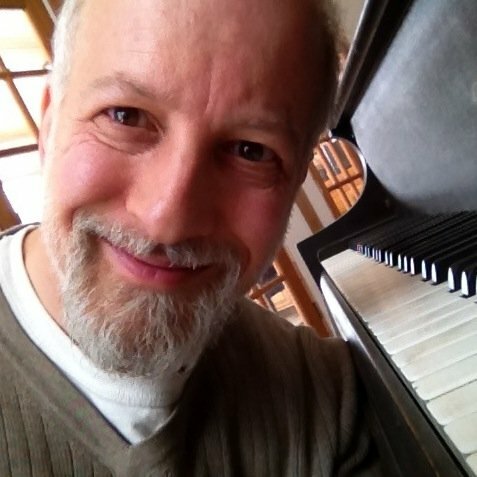 He has published over a dozen solo albums, regularly performs live, is a respected thought-leader on the future of music education, and is currently doing a PhD on the topic of improvisation. 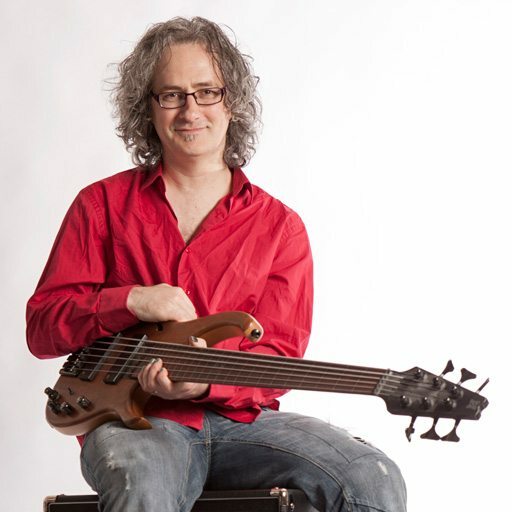 Steve is known worldwide for his pioneering work in solo bass, employing techniques and technology to create fascinatingly rich recordings and live performances that sound nothing like you might expect from a bass guitar. Clare Wheeler is one of The Swingles (a.k.a. “The Swingle Singers”), arguably the most revered and respected a cappella group in the world. As well as her extensive performing background in The Swingles, Clare also has a passion for teaching. She has run workshops, directed choirs, and taught one-on-one, and she specialises in the two major areas we focus on for singers at Musical U: helping beginner-stage singers master pitching and gain confidence, and helping singers of all levels develop their musicality and ability to improvise and be creative in music. Dylan Welsh is an impressive figure in the Seattle music scene. He regularly performs live and records in studio, so he understands both the practicalities of being a working musician and the importance of investing in the bigger-picture skills of musicality. Through providing online guitar lessons he is continually honing his own skills as a teacher and finding new ways to help students learn faster using the music they personally enjoy most. 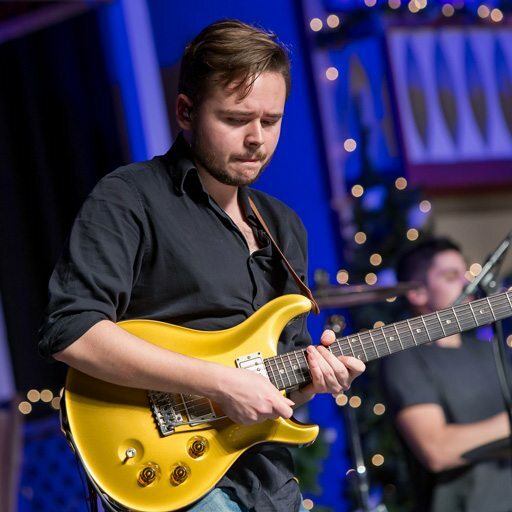 Founder of leading UK guitarist community TheFretboard.co.uk, Nick Long is also an accomplished guitar player and BBC-trained audio engineer who has frequently written for EasyEarTraining.com. A thought-leader on the future of musicianship, Tommy is the creator of the word “Musicpreneur”, a Visiting Lecturer at the University of Westminster and an educator of business thinking for musicians. Nate is the “80/20 Drummer” whose revolutionary method for learning drums teaches drummers how to get 80% of the results with just 20% of their effort, allowing them to make much faster progress. Musical U has been created by Easy Ear Training, a London music education technology company, dedicated to helping people become more musical. Since 2009 over one million musicians worldwide have improved their musical skills with Easy Ear Training’s innovative range of apps, eBooks and training albums.